Do you have a 'MRP Mindset'? Over the years I have worked with a fair number of businesses that had thought that implementing a MRP system would solve a lot of their problems. 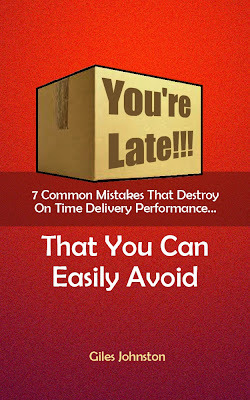 No further ahead with their on time delivery problems. No better off from an inventory management point of view. Still lacking teamwork across the business. Feeling frustrated with their system and creating spreadsheet workarounds. Using a MRP (or MRP II / ERP) system in your business requires a change in the management style for most businesses. The way that you organise your day, your meetings and your management approach should complement the MRP system approach. 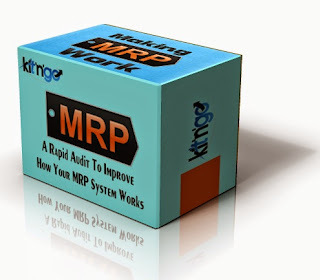 You cannot keep working in the same way that you worked before MRP and expect MRP to magically work; you need to align your daily / weekly management activities with the logic of MRP in order to get it to work effectively. Material being issued on time. MRP exceptions being dealt with. If you review these triggers then you can improve them - simple! Okay, I promised a special offer above. If you are struggling with your MRP / ERP system then I am offering 50% off my 'MRP Audit' kit until then end of Tuesday 10th of January 2017. To get the audit for just $10 (USD) visit this page and use the discount code MRP50%.